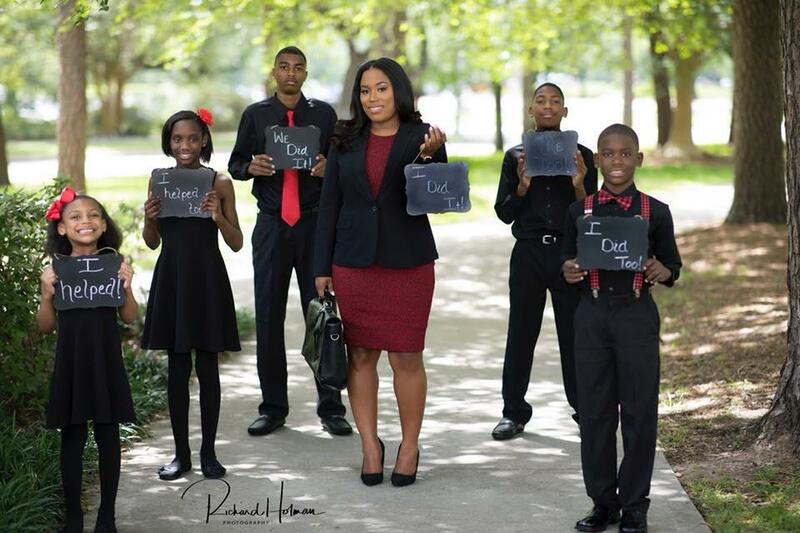 The single mother of five children whose law school graduation photos with her kids went viral is a big step closer to achieving her lifelong dream of becoming a lawyer. Ieshia Champs, 33, announced she passed the Bar exam in a Facebook post Monday. After graduating from the Thurgood Marshall School of Law at Texas Southern University earlier this year, Champs took the exam in July and revealed the results she's been waiting to hear this week. In a photo, she shows a letter addressed to her from the Texas Board of Law Examiners congratulating her for passing the Bar. According to the post, she still needs to complete the licensing process to officially become a practicing attorney in the state. "Whoever counted me out miscalculated, cause God counted me in!" she wrote in a different Facebook post that day. Champs spoke to CBS News in April about her difficult upbringing in her teenage years and other life challenges, which included a house fire and death of her children's father. "I really didn't have any stable guidance at that time," Champs told CBS News. "My mom was addicted to drugs. My dad was deceased. And I was homeless." Champs credited her children with helping her push through law school, often times serving as mock jurors or helping her review with flash cards. She gained widespread attention after sharing her graduation photos with her children on Facebook, captivating the internet and showing it's never too late to pursue your dreams. "When I look at the pictures, I cry, I smile, and I'm very grateful," Champs said. "I see a woman who at one time knew that the odds were against her. Looking at that picture reminds me of the fact that I didn't just defy the odds, me and my children destroyed them."